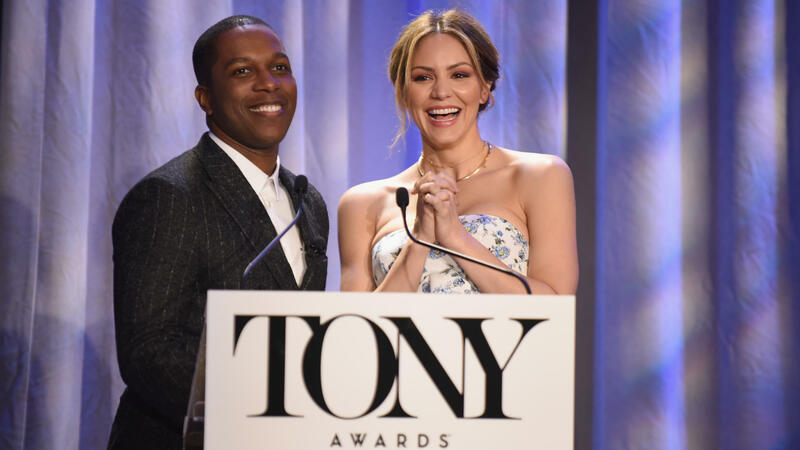 Actors Leslie Odom Jr. and Katharine McPhee announced the nominations for the 2018 Tony Awards on Tuesday in New York City. Angels in America, The Band's Visit and Rodgers & Hammerstein's Carousel each received 11. The incredibly popular Harry Potter and the Cursed Child, Parts One and Two was nominated for 10 awards, including best play. The Tony Awards will be presented on June 10. At the ceremony, singer and actress Chita Rivera and composer Andrew Lloyd Webber will be honored for lifetime achievement. The full list of nominees was announced Tuesday morning by Leslie Odom Jr. (who originated the role of Aaron Burr in Hamilton) and Katharine McPhee (starring in Waitress). You can find the full list on the Tony Awards website.